Banger stems have a front-load design and can be used with either side up, providing a 5-millimeter drop or rise. Available with 53-millimeter extensions, they are cold forged from the highest quality 6061-T6 aluminum then CNC machined to enhance the shape and further reduce weight. 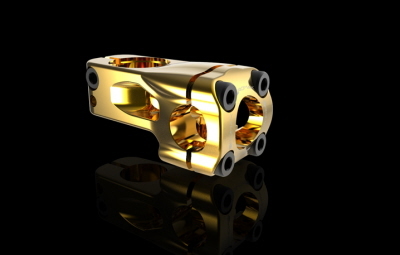 A 53-millimeter stem weighs 276 grams/9.8 ounces. Available in anodized red, blue, gold and matte black with laser-etched graphics. Meets or exceeds ENBMX standards.